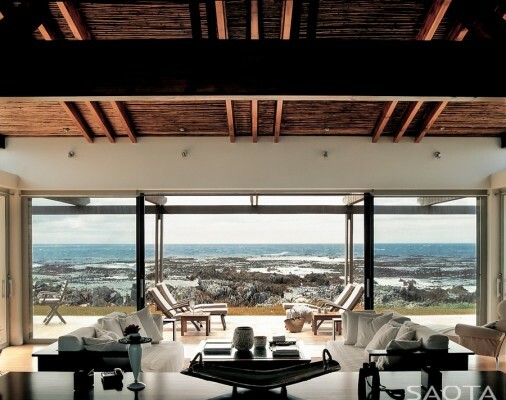 We’ve selected what we feel are the key examples of South African Houses. We aim to include properties that are of top quality. 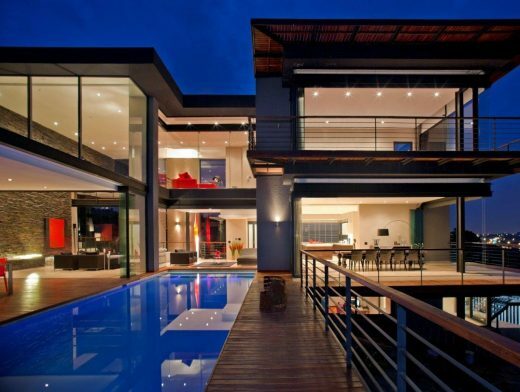 We cover completed homes and new property designs across South Africa. 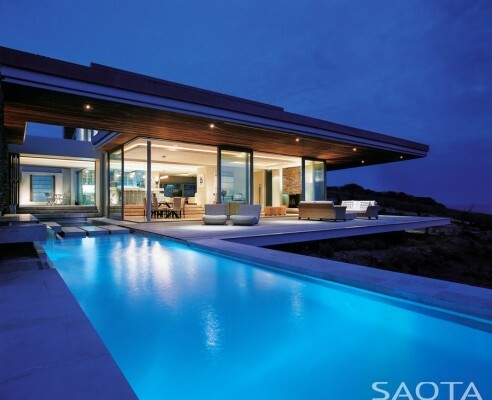 The focus is on contemporary South Africa properties. Tucked away in a leafy suburb is this statement-making property with modern, glass-fronted architecture and vibrant interiors. 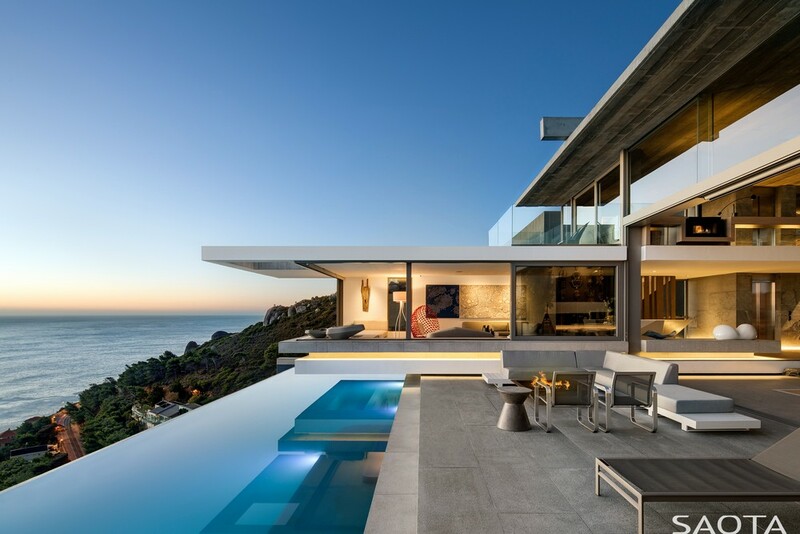 Perched on the shoulders of Lion’s Head, the luxurious home juts out from a steep hillside that drops down to the famous sequence of Clifton’s white beaches. 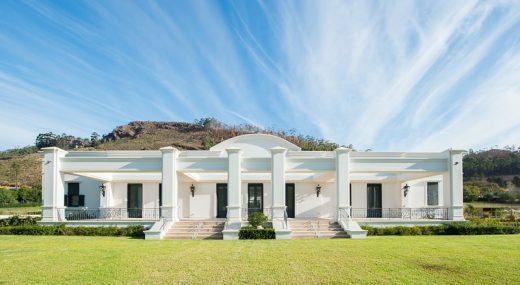 The home was built with the aim of capturing the sweep of a spacious plantation-style country estate, with aesthetic touches inspired by the film Casablanca. 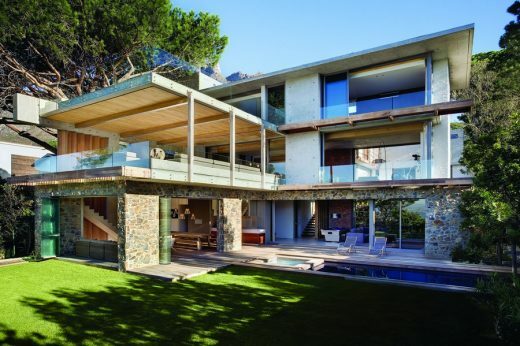 Two-storey Cape Town property, originally designed by SAOTA a decade ago, has a complete renovation with increased accommodation through its new owners. 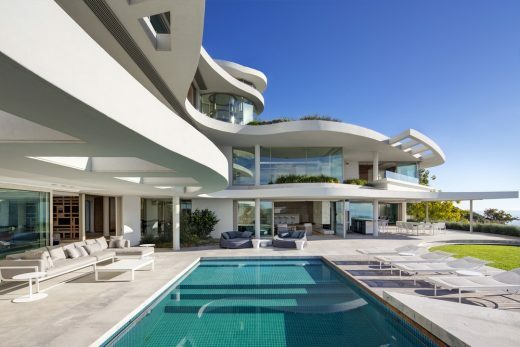 The luxury home creates architectural excellence. 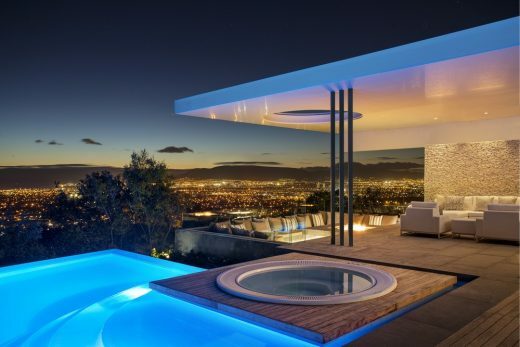 Crested on a steep site, this contemporary architectural design has superb city views. The new family home is an interplay of rectangular forms, create a powerful and sculptural composition. 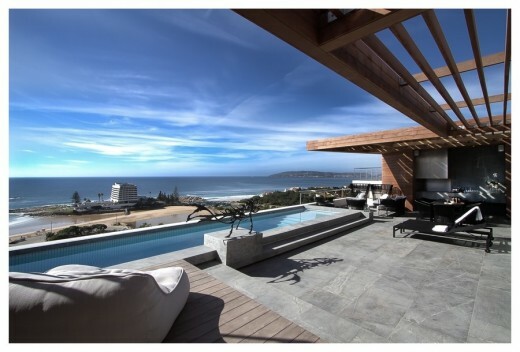 This La Lucia beach house gently nestles between protected milkwood trees and enjoys beautiful ocean views. Bronze aluminium sliding screens provide a signature for the building. 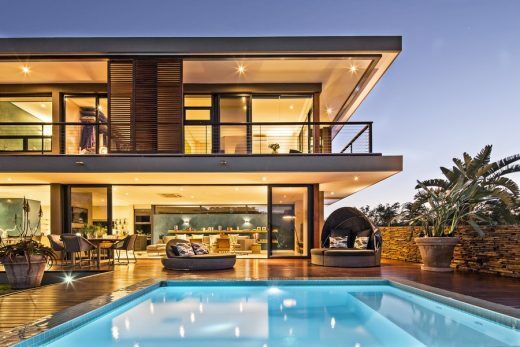 Located in a leafy suburb below the iconic Table Mountain, this luxury property overlooks the city and harbour of Cape Town. 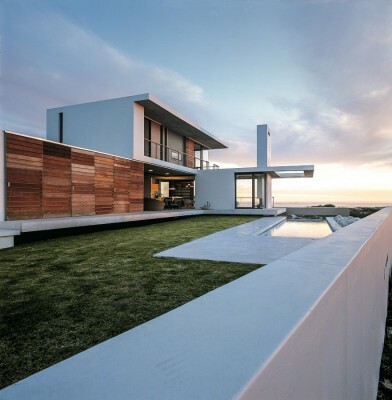 The home has been awarded a Commendation from the Cape Institute for Architecture (CIfA). 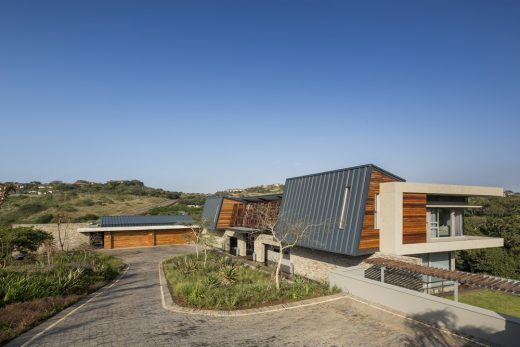 The architects were commissioned to design a contemporary family home on a one acre site, situated at the end of a spur, in Simbithi Eco-Estate. The client desired a home with an overriding sense of simplicity but with a high degree of sophistication. 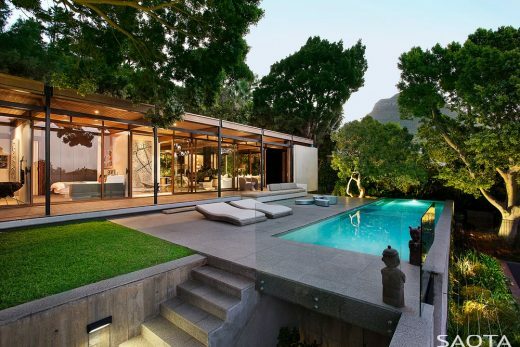 Designed for a young family in the suburban area of Rondebosch, Cape Town, this house sits on an elongated site with views towards Devil’s Peak and The Back Table, which is the south-eastern edge of the iconic Table Mountain. 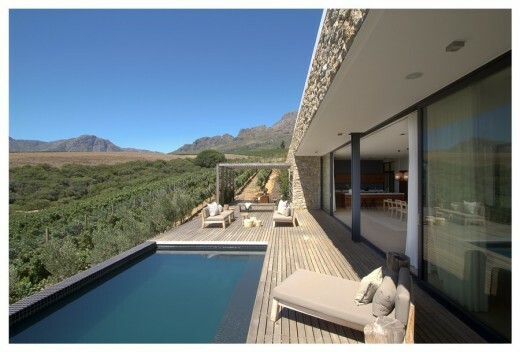 Situated on the slopes of the Helderberg Mountains in Stellenbosch and nestled between rolling vineyards, a small granite hill and a river below, Hillside House is simultaneously arresting and juxtaposed and fits flawlessly into its surroundings. A spectacular home with expansive 360 degree mountain and sea views, carefully balanced with a ned for significant privacy. 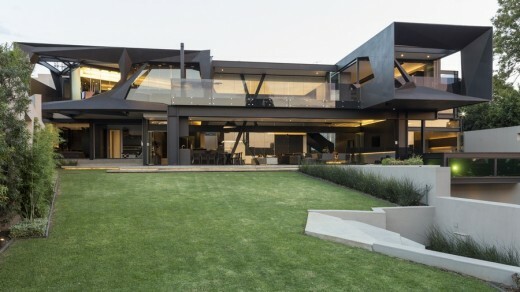 Located at the foot of a nature reserve in Bedfordview, Johannesburg, Kloof Road House is the latest project by Nico van der Meulen Architects. Under the leafy canopy of an immense Albizia Tree nestles Aloe Ridge House, a 300sqm contemporary home in the Eden Rock Estate on Kwa Zulu Natal’s South Coast of South Africa. 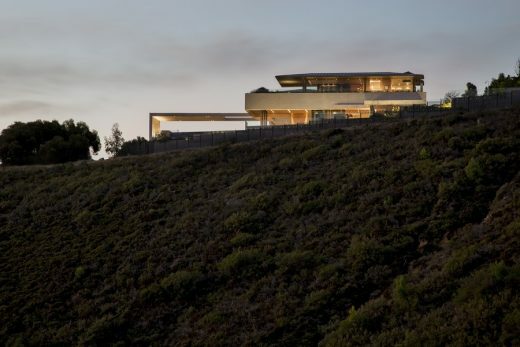 Sited on an exceptionally steep piece of land on the bluff above the bay the challenge for the architects was how to make a beach house “live” across a vertically driven program. Sites like this don’t come much more spectacular: taking full advantage of the ocean views and responding to the coastal dune context, it as ‘a glorious site’. A new luxury house inspired by its indigenous surroundings, part of the recently established Sea Farm Private Nature Reserve. 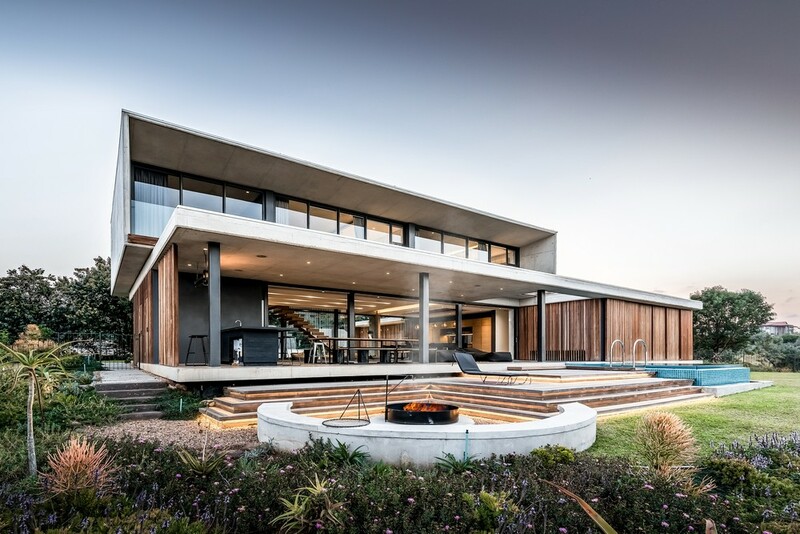 The rocky outcrop with spectacular views of the Johannesburg skyline inspired the additions and alterations of this contemporary home. 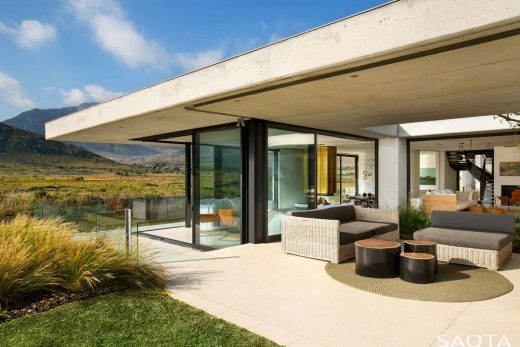 Built from steel, stone and glass, this residence was developed to maximize the surrounding views. This property is architectural and minimalist while at the same time being harmonious and complementary to the West Coast vernacular. 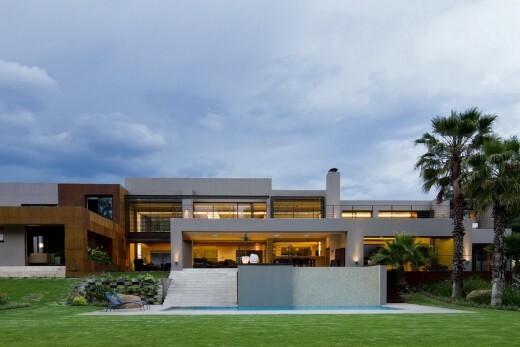 This luxury residence is located on a hill within a secluded nature estate in Pretoria East was originally destined for a very different location on a hillside in Mafikeng. The elevated site has 180 degree views of the whole of Pretoria. Between the use of transparent glass, a koi pond and pool surrounding the living room area, and the porch forming part of the interior-this masterpiece invites the serenity of the outdoor environment. 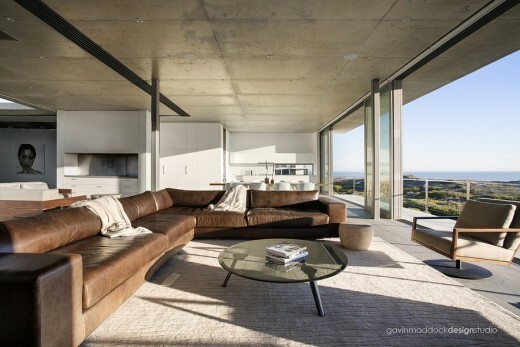 The form and siting of the house is strongly orientated around views. 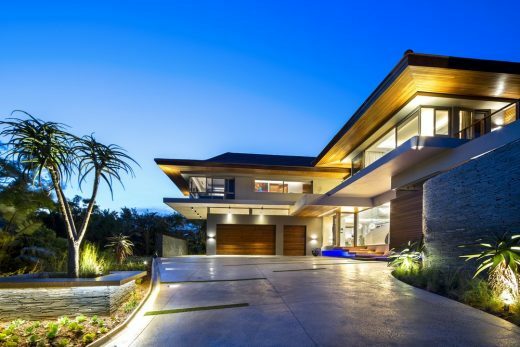 The focus is on the sea facing side of the home, embracing the West Coast landscape. The house includes three storeys accommodating three en-suite guest suites on the ground floor, with a plant area and a staff flatlet at the rear. The first floor is the main living level, with a large living room and dining room opening to a covered and uncovered pool terrace. 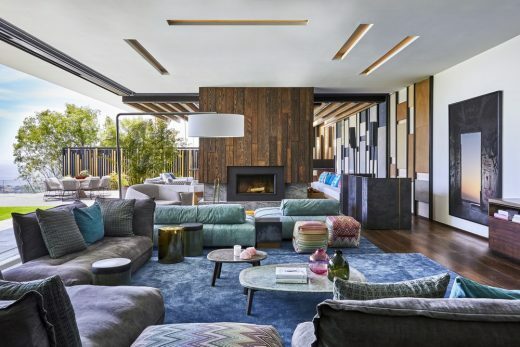 The clients requested a 6-bedroomed family home with understated elegance and quiet grandeur, indoor / outdoor living spaces and uninterrupted views, with a ”lived-in beach-house” feel. The beach-front site is subject to hot summers and moderate winters, with a cooling on-shore breeze, from the North East. Taking advantage of the large dune across the majority of the site, the views were maximised by elevating the living levels to above natural ground level, terracing built forms down the dune. The clients: a couple from New York building a holiday home in the Southern hemisphere for summer vacations. 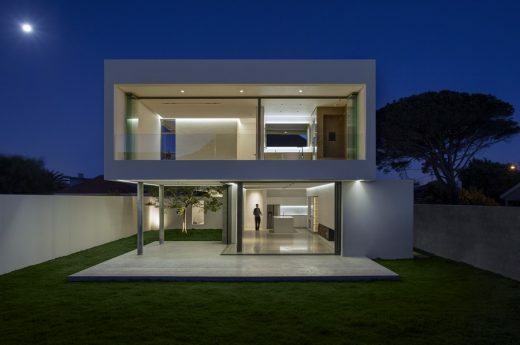 Aware of contemporary architectural trends, they requested a sculptured building with clean horizontal lines, large areas of glass and screens creating a space that is ‘open as well as private’. Their brief was a 2-bedroomed home with indoor / outdoor living spaces and a studio to be used in their photographic and film related occupations.